How Can a Father Get Full Custody of His Child? 09 Feb How Can a Father Get Full Custody of His Child? 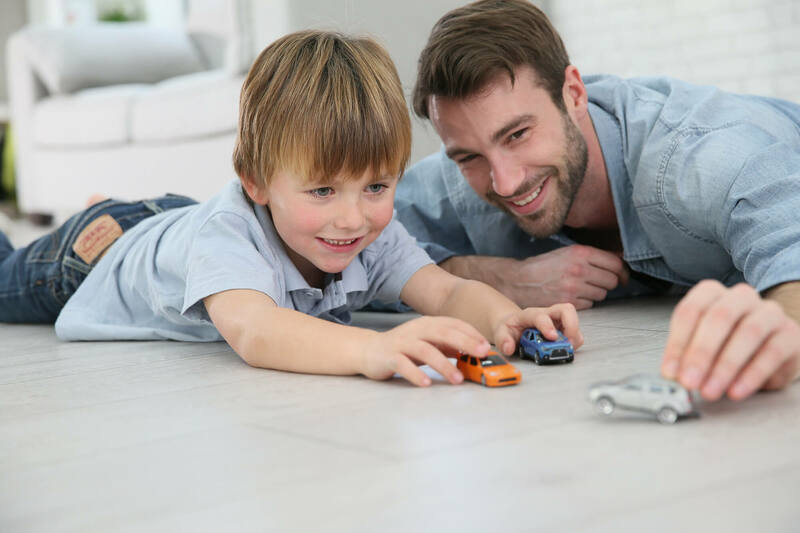 There’s a popular misconception that it’s impossible for dads to get custody, but that isn’t true. Plenty of fathers have custody of their children, and if you follow the advice in this article, you can too. In the past, many courts were biased in the mother’s favor when it came to child custody. Luckily things have changed. Now it isn’t unusual for fathers to have full custody, they just have to make a good case for it first. If you want to know how to go for full custody and win, be sure to follow this advice. If you’re wondering how can a father get full custody of his child, you need to understand how and why parents get full custody. To get an idea, check out our collection of top divorce articles you should read. Overall, most courts will want to preserve a sense of normalcy for the child and will want both parents to be as involved as possible. But there are some cases where some parents will be awarded full custody. Parental neglect or absence is obviously a substantial reason for awarding one parent custody over another. If you plan to use neglect or absence in your case, make sure you have materials to back up your case. Also remember that emotion and mental abuse counts in these cases as well. Child preference can also play a role in deciding full custody. If your child has a strong preference for either parent, and they’re a teenager, it’s possible that they could have more of a sway in custody than you could. If you want to prove that you’re the best parent for your children or child to be with, you have to prove your case with your relationship. Be sure to frequently call and text your child. Ask how their day was, see if they need anything, and be sure to express your love. Also, show how you’ve been involved in their lives as a parent. Are the parent that always brings kids to soccer practice? Do you make dinners and help with homework? Make sure to showcase that when they’re determining custody. Attend every birthday party, school play, and recital you can attend. Attending all of these events will help your case. It’s much easier to make your cast for full custody when you have a place for your kids. If you’re wondering how can a father get full custody of his child, the home environment matters a lot. You don’t have to have a mansion to win full custody, but you do need to have a good home environment. Your kids need to have space where they can feel safe and welcome. They’ll need a bedroom, a fridge with food, and a clean house overall. If you’re serious about going for full custody of your child, we’re here help. Be sure to contact us so we can find the best way to help your case. Also, check out our post on the best way to use social media when you’re determining custody.